Toyota has taken the wraps off two concept cars, plus the new British-built Toyota Auris Touring Sports and the latest RAV4 at the 2013 Geneva Motor Show. The eagerly anticipated FT-86 Open concept, which points to the possibility of a future GT86 convertible, proved a real show stopper. 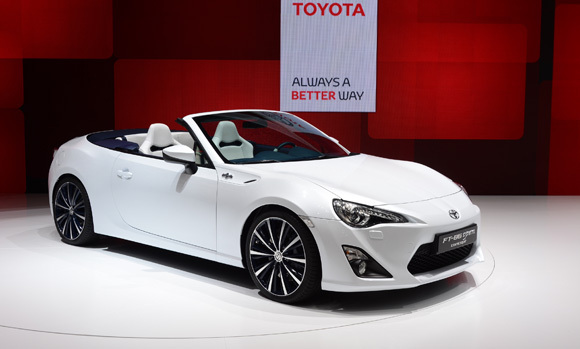 The cabriolet is poised to become the third member of the new GT86 family. Its debut follows the introduction of the GT86 coupe and new TRD tuned GT86 TRD, a limited edition model due on sale in the UK later this year. The concept has been designed under the watchful eye of Tetsuya Tada, the man behind the award winning Toyota GT86. His brief was to deliver the lively, highly engaging and accessible performance and dynamic abilities of the GT86 with the added appeal of top-down motoring. To celebrate the launch, a new short film called Dodging Shadows has been released, ahead of the FT-86 Open unveil. Read more about the FT-86 Open concept here. 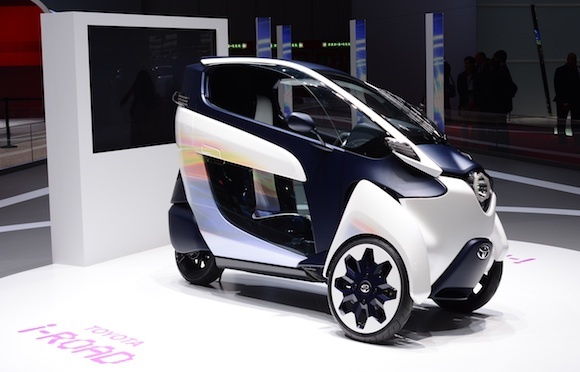 Meanwhile, the zero-emissions i-Road concept proved a real show stopper. The innovative city car has a clever 1+1 seating layout that positions the passenger behind the driver, making it the perfect solution to urban congestion. Find out more about i-Road in this post. 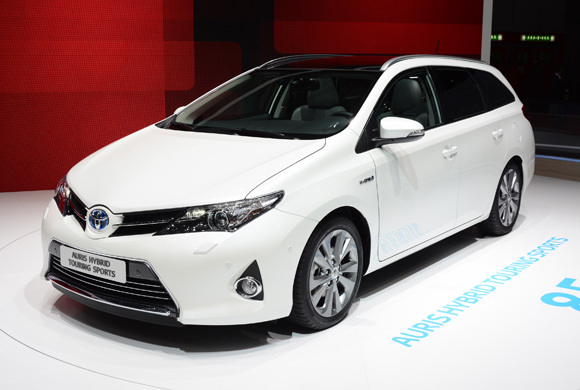 The new British-built Toyota Auris Touring Sports – also made its debut in production-ready form ahead of its launch in Summer 2013. Here’s what happened when Auris Touring Sports was revealed at the show. The boldly-styled Auris Touring Sports Black design study shows that the new estate isn’t only about practicality. Meanwhile the RAV4 is making its first European public appearance, just in time for its arrival on UK roads. 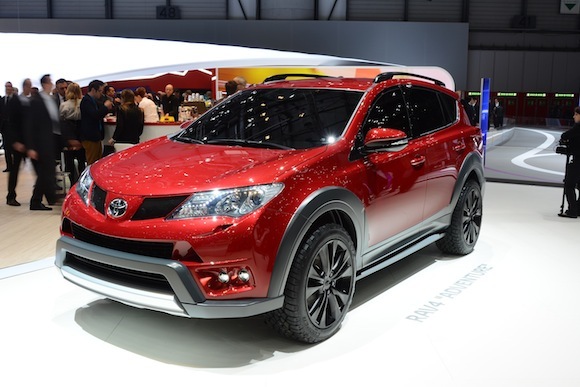 Two concept versions are on show – the RAV4 Adventure and the RAV4 premium. For a complete list of all our stories from this year’s show, scroll down this page.